The strategic marketing approach focusing on the creation and distribution of valued, appropriate, and dependable content, so as to attract and retain target audience, and to convert them into a profitable customer action ultimately is known as content marketing. In this digital age where everything is just clicks away, the content is actually the king. It is the one thing which will help you reach your goal effectively. But the difficult part is when it comes to deciding which type of content would suit your marketing strategy the most. The most popular way to step into content marketing is the blogs! Improving the SEO and attracting organic traffic, blogs are an excellent way to achieve more in a limited budget. Companies that publish 16+ blog posts per month generated 4.5x more leads than companies publishing 0-4 monthly. A blog does not take a lot of time to write, is easier for Google to find, and the users are happy to read and share it, makes the central part of the content marketing strategy. Although accessible, there are a few things you will have to be careful about when using blogs; Regular posting, optimization, building links and never ignoring keywords. This type of content is usually over 1000 words and has every detail of the subject covered. This ensures that your customer doesn’t have to look for information elsewhere. Breaking down the content into several comprehensible sections and then promote it is the essence of longform content. Your customer must know that you have the subject covered for them! The most essential part of content marketing is to grab the attention of your audience in this busy digital marketplace. Video content is now the “hot cake” of the time and is being viewed the most. Video content is especially great for the smaller businesses as they provide an appealing return on investment. 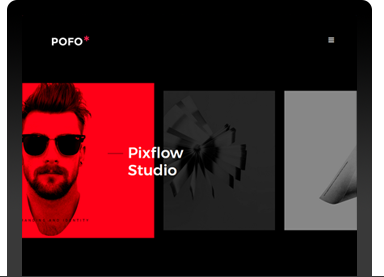 After watching a video, 64% of users are more likely to buy a product online, which helps the business to flourish. With some research on the types of content and topics that would appeal to your clientele the most, you can harness great engagement. To help educate your audience and provide them with more useful information, infographics make the best form of content. These help the viewers to visualize data and to get a better idea of why the product is valuable and how it works. Consider the topics which will attract and engage your customers the most. Any information which could be turned well into a visual aid makes the best infographic topic. These can also be used to explain the complicated subjects to offer a better understanding of the customer. Telling of a customer story or experience illustratively helps the business greatly. Use case studies to highlight the special applications or the uses of the services or the products offered by your firm, and how it benefited the other customers. This type of content is loved by the customers because it helps them to understand well how your brand can help them improve their lives or to add value to their business. Although you can even provide general applications and uses of your products and services, there is nothing more valuable than a real-life example for a business. “Content is the King” in the digital market. However, just any content will not help you climb the stairs to success; it is only the relevant and high-quality content. Invest a little on improving your content marketing strategy, and reap the many benefits! Blogging makes the best of all types but it shouldn’t be the only type of content you must depend upon. To increase traffic, generate leads and drive more sales, all you need is a diverse content marketing strategy; helping you to get the best of the digital world! 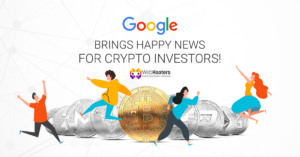 July 24th, 2018 | by Webhooters After Facebook, Google Too Brings Happy News for Crypto Investors and Marketers! December 4th, 2018 | by Webhooters Digital Marketing Trend 2019 – Giving Your Brand New Goals!